If you want better value for your small business advertising dollar, call Valpak of Western New York. We offer small business marketing solutions backed by a household name. Valpak direct marketing products specifically target the Buffalo neighborhoods most likely to create your business’ potential customer base. With this precision, you can rest assured your advertising will lead to results. Select from standard or cardstock inserts, multipanel flyers, circulars, coupon booklets, solo direct mail and more. The Blue Envelope® isn’t the only way to partner with the Valpak name. We can build your business website and link it to the valpak.com couponing site. 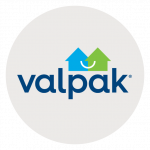 Valpak of Western New York is a Google Ads-certified franchise, and Valpak is one of the select national companies to earn Google Premier Partner status. That means you get expert-level keyword choice as well as SEO, social media advertising and pay-per-click options. Take your small business advertising in Western New York to a new level. We can connect you with as many as 230,000 qualified households in Buffalo, Niagara Falls, Tonawanda and North Tonawanda, Hamburg, Lancaster and other cities in the region. For specific dates and coverage, contact your Valpak of Western New York representative. Valpak of Western New York is an independently owned Valpak franchise.